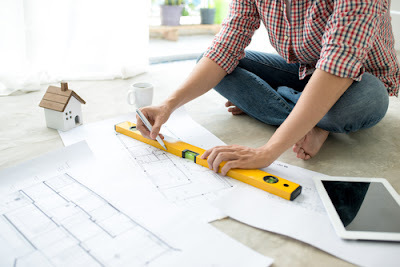 Are you building a new home in Singapore and you are wondering the ideal type of floor to have installed in your beautiful home? You need not to worry. There are a number of flooring types available in Singapore that will give your home all the beauty and glamor you need. Some of the flooring types you can consider in Singapore include flooring tiles, wood flooring and laminate flooring. The type you go for is all dependent with the final appearance you want to achieve in your home as well as your tastes and preferences. Here below we will discuss on the importance of each flooring type to enable you make an informed decision while going for any of them for your flooring needs. This type appears like real wood but not the exactly the same as wood flooring. It is constructed through a multi-faceted synthetic flooring product that is normally fixed together through a lamination process. One outstanding factor that makes this flooring an option for many home owners in Singapore is because it can be placed on top of an existing floor. Here are some of the benefits you get to experience once you choose it as an option to satisfy your flooring needs. · Easy installation - It is easier to build and maintain compared to the old flooring methods. 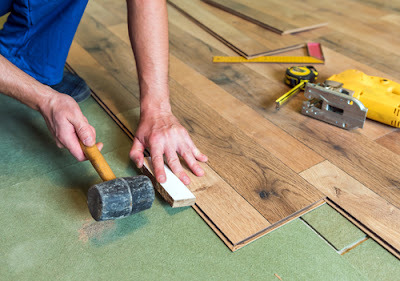 Once you get a professional to do the flooring job, your home’s interior outlook will get into good shape within no time. · Less Expenditure - Compared to a number of other flooring alternatives this type is less costly to install. However, it is important to note that the amount you will spend on flooring is also determined by the size of your house. · Less Expertise - It doesn’t require much expertise during the installation process. · Durability – this flooring lasts for long when it is not exposed to tough unbearable conditions. With that the home owner enjoys a long term service from this flooring without much expenditure on frequent repairs. · Hygienic – everybody likes to have a shiny look in their homes. The laminate flooring is quite easy to clean thus making it possible for you to give your house a shiny look all day long. · Safety – laminate flooring keeps your family safe from sliding accidents because it possesses the slip and impact resistance capability. · Durability – wood flooring gives home owners a long term service without incurring repair costs every now and then because of the ability to withstand regular active use. · Easy Installation- with a professional it doesn’t take too much effort to make a stable and uniform wood floor. 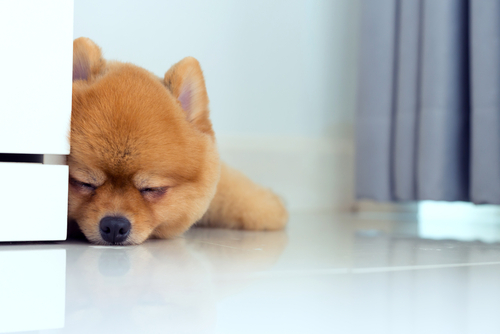 · Easy to Clean – due to its dirt and dust resistance ability, this kind of floor enhances the hygiene of the home. With this capability all it takes to keep this floor clean is vacuuming and mopping. · Desirable Outlook – wood flooring has a way of creating a warmth and an outstanding beauty in the home. · Variety – with this kind of flooring you find that the home owner has a variety of options to choose from. The options include; different colors, styles and species; all these are available to meet the user’s preferences and tastes. · Quiet – with this flooring you enjoy a quiet environment because it doesn’t produce any vibrations or hollow sounds during movements within the house. me owner a long term service if handled with care without being exposed to acidic spills. Variety – flooring tiles offer the home owners with a number of options to meet their flooring needs which include color and design. · Healthy – this type of flooring does not contain the organic compounds that may inhibit free air circulation within your home thus being an ideal flooring to keep your family healthy. · Less maintenance – with the flooring tiles you can maintain a clean soothing home environment because keeping it clean is quite convenient. You can get rid of any spills on the floor simply by using soap and clean water. · Fireproof – in the event of a fire outbreak in your home or in your neighborhood your home’s safety can be enhanced with flooring tiles. Porcelain flooring tiles inhibit the spread of fire due to its fireproof capability. · Repairs – with this type of flooring home owners are likely to incur little repair costs. This is because this flooring is normally resilient to cracking when hit with a great impact. Moreover, incase damage occurs to one piece of the tile it can be easily removed and replaced without much ado. The choice you make when it comes to a flooring type for your home is very important. This is because the kind of flooring that will be installed in your home will definitely determine how your home interior outlook will be. For this reason it is key to do research on your intended flooring for your home to ensure that it will give your home the best outlook ever. Besides, once you have identified the perfect flooring type for your Singapore home do not forget to get an expert in the job. This will enable you to avoid incurring some extra costs on floor repairs every now and then.